ABOUT MENTOR’S CAFE The Mentor’s Cafe will be filled with industry players who are in attendance and speaking on CMW panels. No appointment necessary. Just drop on by to get advice from the finest people in this industry! UP CLOSE & PERSONAL!! That’s the CMW Mentor’s Cafe Mantra! *Limited Capacity / No Appointment necessary! THE MENTOR’S CAFE is one of the key centerpieces of Canadian Music Week’s initiative to bring attendees into an intimate cafe style environment with the majority of our speakers who are more than willing to share experiences and knowledge. It’s Networking A La Carte! THE MENTOR’S CAFE IS LOCATED at the VIDE Lobby at the foot of the escalators on the Lower Concourse Level, the Gateway to the CMW Conference and Trade Show! Meet the music biz professionals WHO DRIVE AND CREATE THE GLOBAL MUSIC BUSINESS OF TODAY WITH A DEEP LOOK INTO THE FUTURE! From Wednesday, May 8, 2019 through Saturday, May 11, 2019, Canadian Music Week presents our CMW/Songtrust Mentor’s Cafe Series. 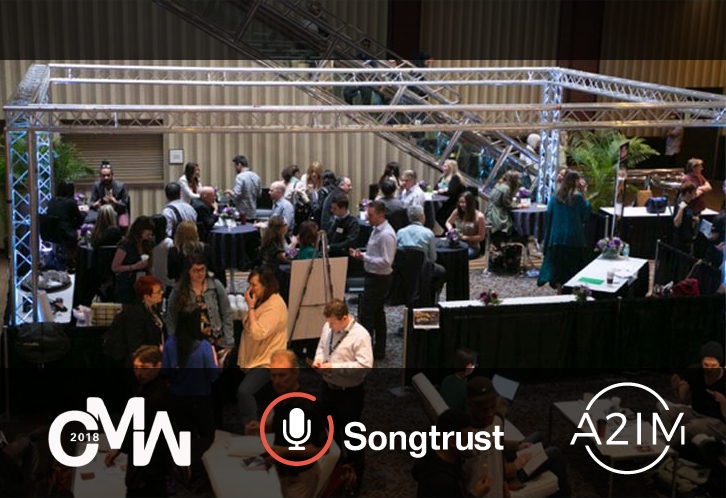 Our CMW/Songtrust Mentor’s Cafe will be profiled with industry executives who are in attendance and speaking on our panels. You'll have a chance to get up close and personal. Our CMW/Songtrust Mentor’s Cafe is located at the VIDE Lobby at the foot of the escalators on the Lower Concourse Level - the Gateway to the CMW Conference and Trade Show! No appointments necessary. Just drop on by, register at the CMW/Songtrust Mentor's Cafe table, enjoy the relaxed atmosphere -- and LEARN! Limited Capacity! The Mentor's Cafe is located on the Lower Concourse of the Sheraton Centre Toronto Hotel.